Air pollution caused by the ash and dust in the mountain's vicinity may continue through the afternoon, but conditions are expected to improve as winds die down Sunday evening. Strong winds and dry weather were blowing ash from Mount St. Helens Sunday morning, reducing visibility and air quality in areas west of the peak. 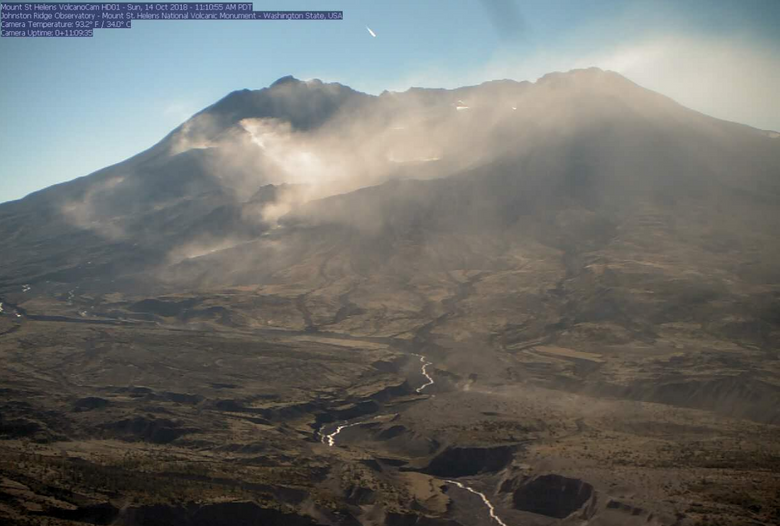 The Washington Volcanic Ash Advisory Center (VAAC) reported re-suspended volcanic ash blowing from the mountain due to winds from the east, based on satellite and web cam footage showing ash and dust coming from the mountain. There has been no eruption at the active volcano, according to VAAC and the National Weather Service (NWS). Air pollution caused by the ash and dust in the mountain’s vicinity may continue through the afternoon, but conditions are expected to improve as winds die down Sunday evening, according to the Portland Weather Forecast Office. The Portland Weather Forecast office warned that people immediately west of Mt. St. Helens may experience respiratory problems and should avoid outdoor activities in the region.